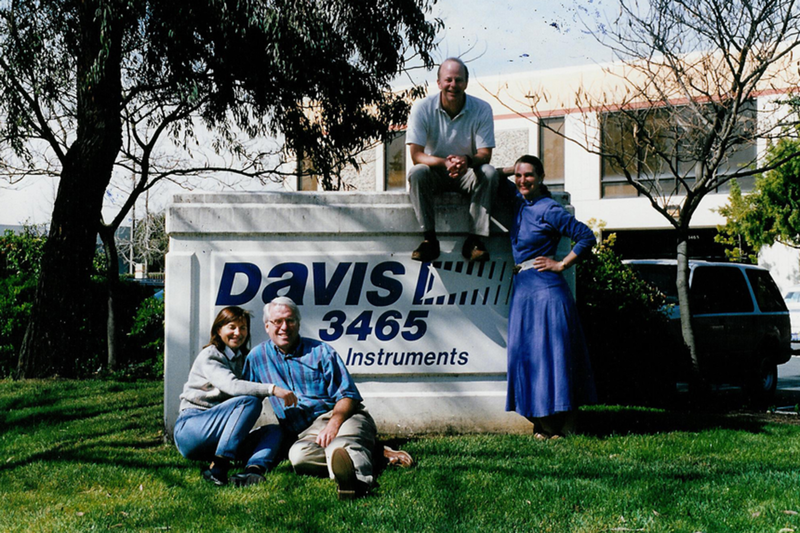 The company’s founders in front of their Hayward, Calif., headquarters in 1999. 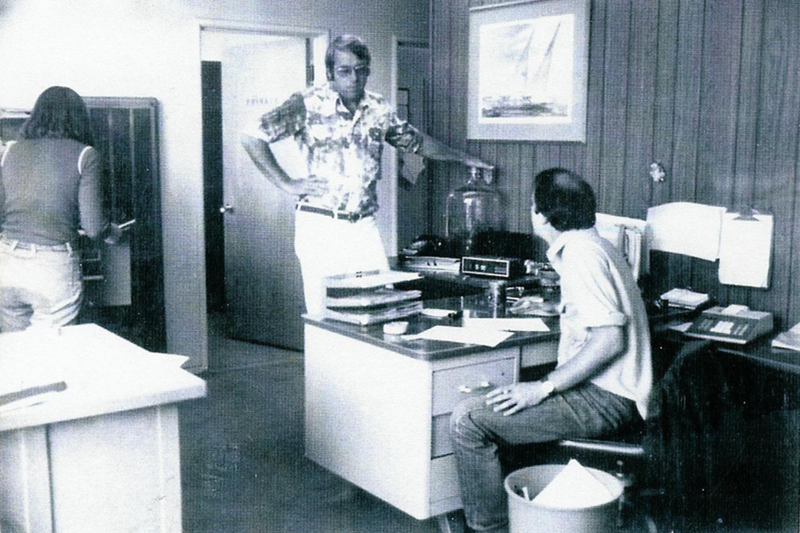 Selig (standing) and Aquistapace (seated) strategize in the company’s early days. Though the name has become a leading marine brand, Selig and Aquistapace had not necessarily set out to be part of the boating industry. They were more interested in running their own business. Before starting his MBA at Stanford, Selig had been an officer in the U.S. Army for six years. The two partners added new products to their fledgling business and, over the years, made a number of acquisitions to beef up the Davis line. “It might be one or a whole line of products, but we were strictly a marine accessories company in the early years,” says Selig. Davis weather instruments are now used by agronomists, meteorologists, municipalities and home hobbyists around the world. The company also began to expand beyond marine in the 1980s as sales of new boats peaked in the U.S. “It was clear that seismic shifts were taking place across the industry, so we moved ourselves into other interesting niches,” says Selig. The company’s logo originally had sails, reflecting its marine-only focus. One of those niches included fleet-management. Davis became a major brand in automotive tracking tools. That venture, however, was shuttered when Verizon came into the business. “They were just too big and powerful to compete with,” says Selig. The company is also heavily involved with contract manufacturing for hundreds of its products at facilities in Asia and Europe. The current logo, minus the sails, shows the change in the company’s direction over the years. Despite the move by Davis into other sectors, Selig says the company will stay entrenched in marine. 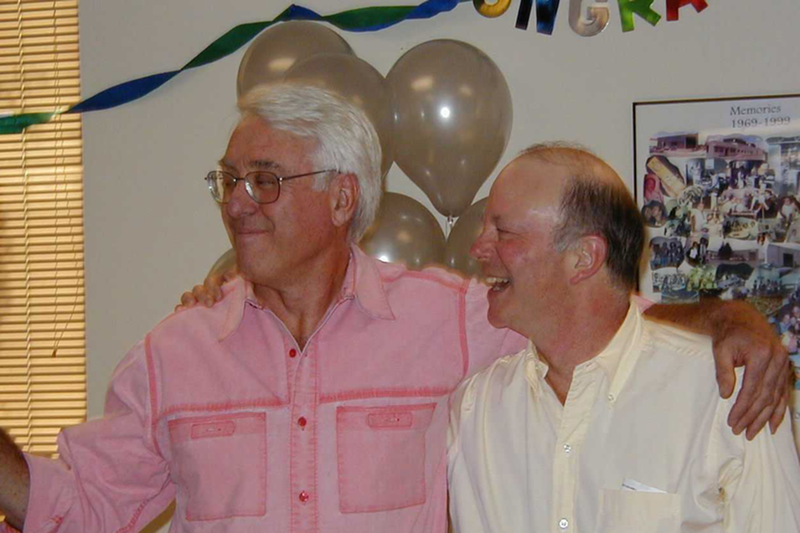 He describes his time in the boating industry as “great fun” over the last five decades. “It was a very good run for me personally,” he says, citing his time as chairman of the NMMA’s accessories division.